Can Tho City, though, is a bit different. Being the largest city in the Mekong Delta tours Vietnam, it is also called as the Western capital of Vietnam (with a population of little more than 1 million inhabitants), however, it still has a small town feel. For those who are living in neighboring (mainly agricultural) area, Can Tho has the attraction of a big city without having to brave the narrow streets of Saigon with its over 8 million inhabitants. 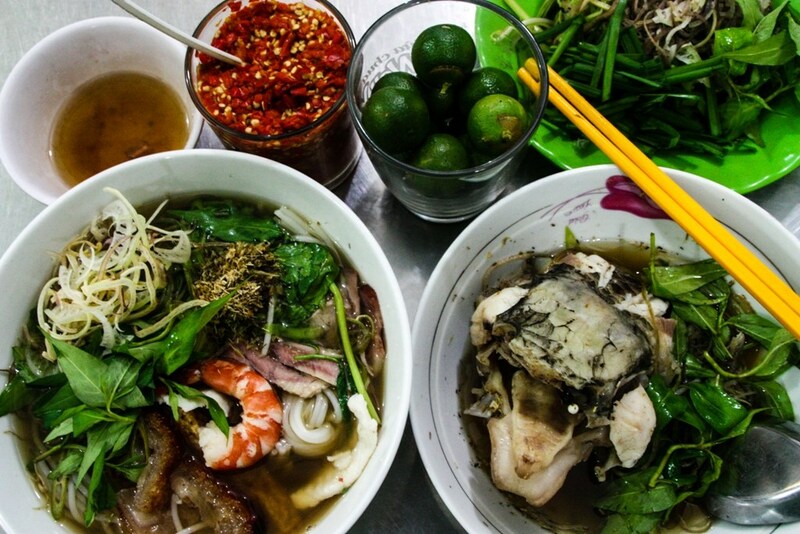 The best hospitals, universities and job opportunities of this region are centered in Can Tho, making it a great base to experience the food of the deep Southern region of Vietnam, including many local specialties that you may not find even in Ho Chi Minh City. 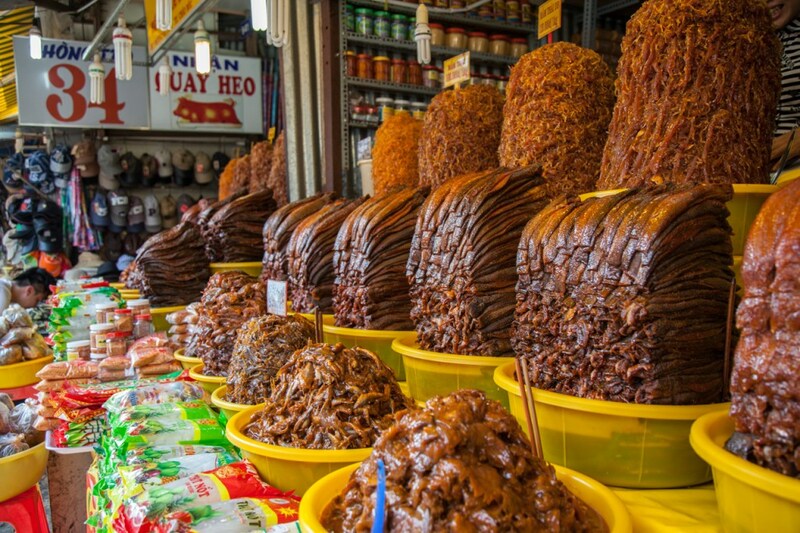 While Can Tho does not really funnily have its own dish, it is co-opted some of the most symbolic dishes of this region, and luckily, there is one street, known locally as food street, De Tham Street – where you can savor some of the best foods of South Vietnam all in one place! Let’s start off with Bun nuoc leo Soc Trang, a stunning noodle dish with Khmer origins most famous in Soc Trang, 60 km southeast of this city. The soup base made from slow boiling fish stock was traditionally flavored with Khmer prohok, a pungent fermented fish paste, but pickled river fish instead, often seen piled high in local markets, is used in the Vietnamese version. Another awesome snack is banh xeo, often called sizzling pancake for the sizzling sound (xeo) it makes when the rice flour batter hits a searing hot wok. While a variation of the dish can be found all around Vietnam, the Mekong Delta version, which is large and filled with shrimp and pork, is different. Banh xeo itself truly is a dish tantalizing all five senses. Besides the sizzling sound it makes, coming along with the bright green from the accompanying fresh herbs and lettuce leaves is the rich yellow hue that comes from turmeric. If having a chance to go to Banh Xeo Hue Vien (No 34 De Tham), don’t miss to pick up some of everyone’s favorite, deep-friend spring rolls (chả giò). Here, instead of the normal smooth rice paper wrapper, they offer diners thin bean thread vermicelli to wrap the tree ear mushroom and pork filling, adding some extra crunch! Order them with a side of rice noodles for a filling meal or wrap them up in lettuce leaves. 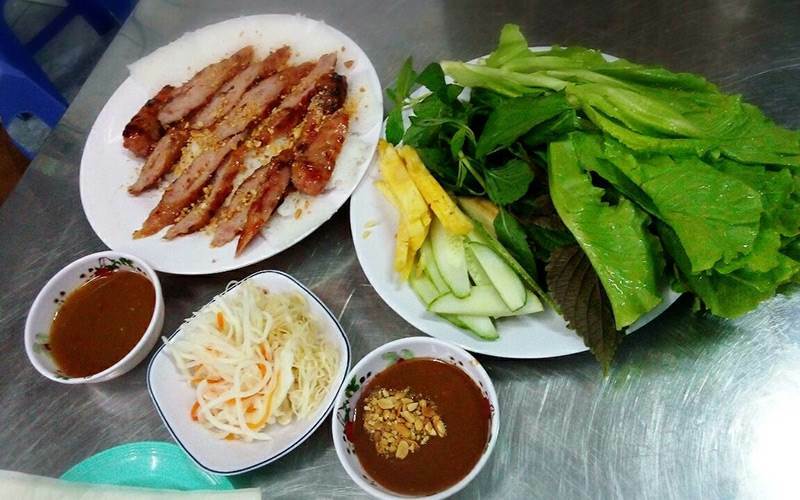 Your last stop for the day can be Nem Nuong Thanh Van, at 17 Dai Lo Hoa Binh – just kitty corner from De Tham Street. While you can find these pork skewers all over Vietnam, this restaurant in Can Tho is a mainstay. The skewers here are made with minced pork kneaded until chewy, then the skewers are char-grilled after a proprietary seasoning mix is added. Take a piece of rice paper like the way you enjoy a burrito. On the table is a bowl of water where you moisten the rice paper to make it pliable. Instead of dipping the whole rice paper into the water (which can quickly turn it soggy), you can take a lettuce leaf and use it as a paint brush to apply a little bit of water to the rice paper so when you roll, it does not crack. 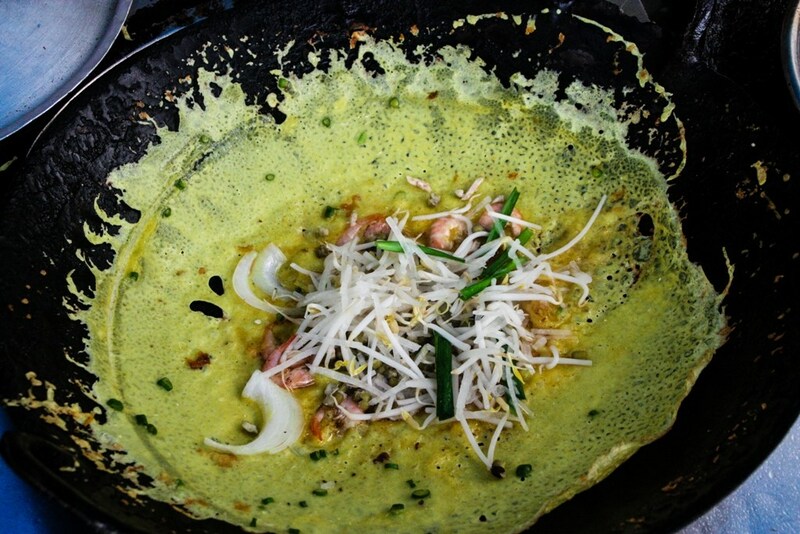 Add a layer of bean thread vermicelli and some fresh herbs to create a base. Then put on one or two piece of pork and add the condiments (cucumbers, pickles, etc.) and finally, firmly wrap it up.